On Fridays I love to participate in #FridayReads by sharing what I’m reading on Twitter and finding out what everyone else is reading, too. 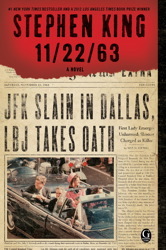 This week, I’m reading Stephen King’s 11/22/63 on my Kindle. It’s an 800-page whopper in print, but obviously it weighs nothing as an eBook, so I love that I can read it little by little every morning on the subway without having to haul it around with me everywhere I go. I also love that when I get tired of spending time in King’s universe, I can switch to the other book I’m currently engrossed in—HIS VERY OWN GIRL by Pocket’s own Carrie Lofty—with the click of a button. I get such a thrill out of having access to such a huge library of books—novellas and full novels alike—on my eReader. It means that a subway ride is NEVER wasted! Where do you like to get your e-reading done? Are you a commuter-reader, too? And, most importantly, what is your #FridayReads pick? 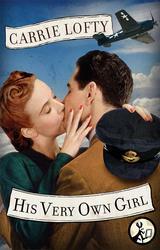 A sweeping WWII love story that will have you reaching for the Kleenex! For fans of King and Kennedy alike…and so much easier to handle in e!